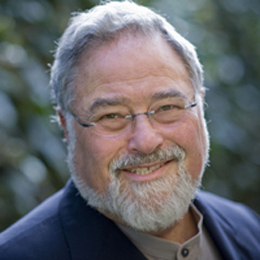 December 10, 2010 By George Lakoff in MIsc. Democrats of all stripes have been so focused on details of policy that they have surrendered public political discourse to conservatives, and with it the key to the nation’s future. The differences between Democratic progressives and the president over the tax deal the president has made with Republicans is being argued from a materialist perspective. That perspective is real. It matters who gets how much money and how our money is spent. But what is being ignored is that the answer to material policy questions depends on how Americans understand the issues, that is, on how the issues are realized in the brains of our citizens. Such understanding is what determines political support or lack of it in all its forms, from voting to donations to political pressure to what is said in the media. What policies are proposed and adopted depend on how Americans understand policy and politics. That understanding depends on communication. And it is in that the Democrats — both the president and his progressive critics — have surrendered. The Democrats have left effective communication to the conservatives, who have taken advantage of their superior communications all too well. From the progressive viewpoint, the president keeps surrendering in advance — giving in to conservatives before he has to and hence betraying Democratic principles. From the president’s perspective he is not surrendering at all; instead he is a pragmatic incrementalist — getting the best deal he can for the poor and middle class one step at a time. Progressives differ on the reasons for the president’s behavior. Either he has no backbone to stand up for what he believes in, or his actions define his beliefs and he is more conservative than those who voted for him thought. The progressives’ economic policy arguments are sound: continuing reduced tax payments for the wealthy will not work as a serious economic stimulus and will greatly increase the deficit and make the economic picture worse. From a progressive moral perspective, it isn’t fair; it increases an economic disparity that is already much too large. The president’s pragmatic incrementalist arguments seem reasonable from his perspective: He got more immediate money for the poor and middle class than he gave to the rich, and the poor and middle class need as much as possible now (pragmatism) and further incremental steps can be taken later (incrementalism). Those are the materialist arguments among Democrats. I want to shift the frame to the major causal factor that is being ignored on both sides: the role of communication in shaping what Americans understand. As someone who studies how brains work and how language affects politics, I see things somewhat differently. From my perspective, there is a form of surrender in advance on both sides — a major communications surrender. Next, “millionaires.” Think of the tv show, “So you want to be a millionaire” or the movies “Slumdog Millionaire” and “How to Marry a Millionaire.” To most Americans, being a millionaire is a good thing to aspire to. Then, there is “tax.” To progressives, taxes are forms of revenue allowing the government to do what is necessary for Americans as a whole — unemployment insurance, social security, health care, education, food safety, environmental improvements, infrastructure building and maintenance, and so on. The conservative slogan activates the conservative view of taxes. But the progressive slogan “No tax cuts for millionaires” also activates the conservative view of taxes! The progressives are helping the conservatives. There is no comparable progressive message machine. But even if one were to be built, the Democrats might still be using messages that are either ineffective or that help the conservatives. Why? When democratic political leaders go to college they tend to study things like political science, economics, law, and public policy. These fields tend to use a scientifically false theory of human reason — Enlightenment reason. It posits that reason is conscious, that it can fit the world directly, that it is logical (in the sense of mathematical logic), that emotion gets in the way of reason, that reason is there to serve self-interest, and that language is neutral and applies directly to the world. The brain and cognitive sciences have shown that every part of this is false. Reason is physical, it does not fit the world directly but only through the brain and body, it uses frames and conceptual metaphors (which are neural circuits grounded in the body), it requires emotion, it serves empathic connections and moral values as well as self-interest, and language fits frames in the brain not the external world in any direct way. Conservatives who are savvy about marketing their ideas are closer to the way people really think than Democrats are, because people who teach marketing tend to be up on how the brain and language work. And over the past three decades they have not just built an effective message machine, but they repeated messages that have changed the brains of a great many Americans. Democrats can do effective messaging while being sincere and factual. But this takes insight into the nature of unconscious reason and the role of language. I am often asked, “Is there a slogan I can use tomorrow that will turn things around?” Certainly there are better things that can be said tomorrow. But things don’t turn around so quickly. There is a lot do and to bear in mind over the long haui. Here is a brief list. • Communication is a long-term effort. Political leaders rarely say anything that isn’t already in public discourse. That means that people who are not in office have to start effective communication efforts, including new ways of thinking and talking. • All politics is moral. Policies are proposed because they are assumed to be right, not wrong. The moral values behind a policy always should be made clear. • Conservatives and progressives have two different conceptions of morality. • Democrats need to unite behind a simple set of moral principles and to create an effective language to express them. President Obama in his campaign expressed those principles simply, as the basis of American democracy. (1) Empathy — Americans care about each other. (2) Responsibility, both personal and social. We have to act on that care. (3) The ethic of excellence. We have to make ourselves better so we can make our families, our communities, our country and the world better. Government has special missions: to protect and empower our citizens to have at least the necessities. I don’t know any Democrats who don’t believe in these principles. They need to be said out loud and repeated over and over. • Leaders need a movement to get out in front of. Not a coalition, a movement. We have the simple principles. Those of us outside of government have to organize that unified movement, and not be limited by specific issue areas. The movement is about progressivism, not just about environmentalism, or social justice, or labor, or education, or health, or peace. The general principles govern them all. • Many people are “bi-conceptual,” this is, they have both conservative and progressive moral systems and apply them in different issue areas. These are sometimes called “independents,” “swing voters,” moderates,” “the center,” etc. They are the crucial segment of the electorate to address. Each moral system is represented by a circuit in their brains. The more one circuit is activated and strengthened the more the other is weakened. Conservatives have moved them to the right by repeating conservative moral messages 24/7. The Democrats need to activate and strengthen the progressive moral circuitry in their brains. That means using only progressive language and progressive arguments, and not moving to the right or using the right’s language. This is the opposite of “moving to the center.” There is no ideology of the center, just combinations of progressive and conservative views. • Don’t use conservative language, since it will activate their moral system in the brains of listeners. Don’t try to negate their arguments. That will only make their arguments more prominent. Use your own language and your own arguments. Truth squads and wonk rooms are insufficient. • Remember that in the conservative moral system, the highest moral principle is to preserve, defend, and extend the conservative moral system itself. For example, from their perspective, individual responsibility is moral; social responsibility is not. • Learn the difference between framing and spin/propaganda. Framing is normal; we think in frames. If you want to formulate a policy that is understandable, the policy must be framed so it came be readily communicated. Framing precedes effective policy. When you use framing to express what you really believe and what the truth is, you are just being an effective communicator. Framing can also be misused for the sake of propaganda. I strongly recommend against it. • Educate the press and the pollsters to all of these matters. • Find a part to play in getting an effective communications system going! For a detailed background, take a look at my book, The Political Mind. The conservative message machine has so dominated political discourse that they have changed the meaning of words and made some truths untellable by political leaders in present discourse. It takes a major communication effort to change that. • There is a Principle of Conservation of Government: If conservatives succeed in cutting government by the people for the public good, our lives will still be governed, but now by corporations. We will have government by corporations for corporate profit. It will not be a kind government. It will be a cruel government, a government of foreclosures, outsourcing, union busting, outrageous payments for every little thing, and pension eliminations. • The moral missions of government include the protection and empowerment of citizens. Protection includes health care, social security, safe food, consumer protection, environmental protection, job protection, etc. Empowerment is what makes a decent life possible – roads and infrastructure, communication and energy systems, education, etc. No business can function without them. This has not been discussed adequately. Government serving those moral missions is what makes freedom, fairness, and prosperity possible. Conservatives do not believe in those moral missions of government, and when in power, they subvert the ability of government to carry out those moral missions. • The moral missions of government impose a distinction between necessities and services. Government has a moral mission to provide necessities: Adequate food, water, housing, transportation, education, infrastructure (roads and bridges, sewers, public buildings), medical care, care for elders, the disabled, environmental protection, food safety, clean air, and so on. Necessities should never be subordinated to private profit. The public should never be put at the mercy of private profit. Public funds for necessities should never be diverted to private profit. • Services are very different; they start where necessities end. Private service industries exist to provide services — car rentals, parking lots, hair salons, gardening, painting, plumbing, fast food, auto repair, clothes cleaning, and so on. It is time to stop speaking of government “services” and speak instead of government providing necessities. Similarly, “spending” does not suggest providing necessities. “Spending” suggests services that could just as well be eliminated or provided by private industry. Economists should drop the term “spending” when discussing necessities. • The market is supposed to be “efficient” at distributing goods and services, and sometimes, with appropriate competition, it is. But the market is most often inefficient at proving necessities, because every dollar that goes to profit is a dollar that does not go to necessities. Health care is a perfect example. • Public servant pensions have been earned. Public servants have taken lower salaries in return for better benefits later in life. They have earned those pensions through years of hard work at low salaries. Pensions were ways for both corporations and governments to pay lower salaries. Responsible institutions, public and private, took the money saved by committing to pensions and invested it so that the money would be there later. Those corporation and governments that took the money and ran are now going broke. Those institutions (both companies and governments) are now blaming the unions who negotiated deferred earnings in the form of pensions or benefits for the lack of money to pay pensions. But the institutions themselves (e.g., general motors) are to blame for not putting those deferred salary payments aside and investing them safely. • Education is a public good, not a private good. It benefits all of us to live in a country with educated people. It benefits corporations to have educated employees. It benefits democracy to have educated citizens. But conservatives are only considering education as a means to make money and hence as a private good. This leads them to eliminate the public funding of education, which is a major disaster for all of us, not just those who will either be denied an education or who will be forced into unconscionable debt. • Huge discrepancies in wealth are a danger to democracy and a cause for major public alarm. The enormous accumulation of wealth at the top of American society means unfair access to scarce resources, a restriction on access to necessities for many, and a grossly unfair distribution of power — power over the media and political power. • Tax “cuts,” “breaks,” and “loopholes” sound good (wouldn’t you like one?) even for super-wealthy individuals and corporations. What they really mean is that money is being transferred from poorer people to richer people: The poor and middle are giving money to the rich! Why? Money that would otherwise go to their necessities: food, education, health, housing, safety, and so on is instead going into the pockets of super-wealthy people who don’t need it. • Markets in a democracy have a fundamentally moral as well as economic function. Working people who produce goods and services are necessary for businesses and should be paid in line with profits and productivity. Salary scales in private industry are a matter of public, not just private concern. Middle-class salaries have not gone up in 30 years, while the income of the top 1 percent has zoomed upward astronomically. This is a moral issue. • Carbon-based fuels — oil, coal, natural gas — are deadly. They bring death to people and animals and destruction to nature. We are not paying for their true cost because they are being subsidized: tens of billions of dollars for naval protection of tankers, hundreds of billions for oil leases, hundreds of billions in destruction of nature, as in the Gulf of Mexico and Alaska coast. Death comes from the poisoning of air and water through pollution and natural gas frakking. And global warming pollution destroys nature itself — the ice cap, the creation of violent storms, floods, deserts, the blowing up of hilltops. The salesmen of death — the oil and coal companies — are profiting hugely from our payouts to them via subsidies and high prices. And with the money ordinary citizens are giving to them in subsidies, they are corrupting the political process, influencing political leaders not to deal with global warming — our greatest threat. We are dependent on them for energy, to a large extent because they have politically blocked the development of alternatives for decades. • What is called “school failure” is actually a failure of citizens to pay for and do what is needed for excellent schools: early childhood education, better training and pay for teachers, a culture of learning in place a culture of entertainment, a poverty-free economy. • Taxpayers pay for business perks. Because business can deduct the costs of doing business, taxpayers wind up paying a significant percentage of business write-offs — extravagant offices, business cars and jets, first-class and business-class flights, meetings at expensive lodges and spas, and so on. Businesses regularly rip off taxpayers through tax deductions. • The economic crisis and the ecological crisis are the same crisis. It has been caused by short-term greed. Thomas Friedman has described it well. The causes of both are the same: Underestimation of risk. Privatization of profit. Socialization of Loss. But that truth lies outside of public discourse. • Low-paid immigrant workers make the lifestyles of the middle and upper classes possible. Those workers deserve gratitude — as well as health care, education for their kids, and decent housing. Presidents can have a discourse-changing power if they know how to use it and care to use it. But they cannot do it alone. If there is a teachable communication moment for President Obama, this is it. Bring back “empathy” — “the most important thing my mother taught me.” Speak of “empathy” for “people who are hurting.” Say again how empathy is basis of democracy (“caring for your fellow citizens”), how we have a responsibility to act on that empathy: social as well as personal responsibility. Bring the central role of empathy in democracy to the media. And make it clear that personal responsibility alone is anti-patriotic, the opposite of what America is fundamentally about. That is the first step in telling our most important untellable truths. And it is a necessary step in loosening the conservative grip on public discourse. For videos of the president speaking about empathy, Google: Obama Empathy Youtube, and Obama Empathy Speeches.